On the beautiful island of Anglesey, guests can enjoy breathtaking scenery of the gardens, beaches and mountains! Château Rhianfa is a charming world of its own, a delightful throwback to a gentler and more sedate world created by a couple with a great love of art and fine craftsmanship. You’ll find it hard to tear yourself away, but if you can there’s no shortage of exciting activities and attractions right on the doorstep. An area of staggering natural beauty that boasts the country’s highest mountain this side of the Scottish border, as well as a wealth of picturesque villages like Betws y Coed and Beddgelert. Just 16 miles from the Château is Pant Du Vineyard which lies at the foothills of Snowdonia. Pant Du Vineyard offers spectacular views over the mountain range as well as producing award winning Wines and Cider. Just over 30 minutes from Château Rhianfa, the Anglesey Race Circuit provides the opportunity to watch high speed motorsports events or to take a supercar for a spin yourself. A wonderful place to watch thousands of breeding seabirds including guillemots, razorbills and puffins. Visitors may tour the former lighthouse engine room and exhibition area before climbing to the top of the lighthouse for Amazing views. Marvel at over 150 weird and wonderful creatures from around our coasts including the Lobster Hatchery and Seahorse Nursery, then walk the Shark Pool and glimpse huge fish in the Kelp Forest. The last and largest of the castles built by King Edward I in Wales, the most sophisticated example of medieval military architecture in Britain. A great day out and right on our doorstep. Offers some of the best golf in all Wales with an 18 hole, 6,090 yard, par 71 heathland course with wonderful views over the Irish Sea. 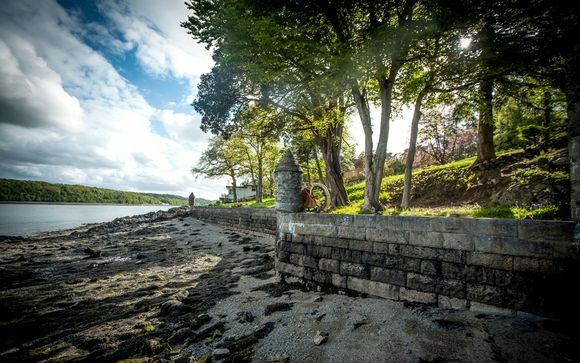 This beguiling architectural treasure, inspired by a Château in the Loire Valley and sitting in a commanding setting overlooking the Menai Straits, makes the perfect setting for magical stay. A stunning Grade II listed Welsh Venue, the Château is in an ideal location for exploring the Isle of Anglesey and Snowdonia. Château Rhianfa, along with its four acres of grounds and private quayside, have been lovingly refurbished to restore this romantic home and estate to its former glory. It combines fairy tale charm with modern luxury to provide an exclusive hotel retreat with a real touch of enchantment! This offer is based on a Standard Double Room or a Sea View Double Room. Just for you: Late Check Out of 12pm (subject to availability). 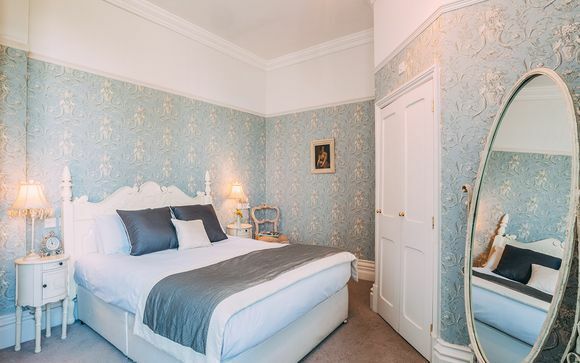 Beautifully decorated with irresistibly comfortable double beds, the classic double rooms make for a stylishly lazy stay with gorgeous en-suite bathrooms. Picture big double beds dressed with fine quality linen that delivers both comfort and warmth to a good night’s sleep, indulged with sumptuous en-suite bathrooms, and all the little added touches that will make your stay at Château Rhianfa a memorable one. Just for you: Cream Tea. Enjoy gastronomic delights at the Chateau Rhianfa! The dining room is the perfect place for intimate meals, seating up to 20 guests in splendidly atmospheric surroundings under an ornate ceiling and with fabulous views. Head Chef Jason Hughes has been part of the Welsh Team for the Culinary Olympics 2016. Jason has come home to his Welsh roots, and is passionate about the delicious, local produce Anglesey has to offer. The Chateau Rhianfa has an amazing range of facilities to ensure guests have a truly unforgettable stay. These ancient vaults, deep in the earth, provide the perfect environment in which to store and enjoy fine wines. Where better for tastings that will linger on the palate and in the memory? With original wooden features and idyllic views framing the Menai Strait and the peaks of Snowdonia, the Music Room stands for everything we love about Château Rhianfa. Sink into the comfortable furniture and relax. 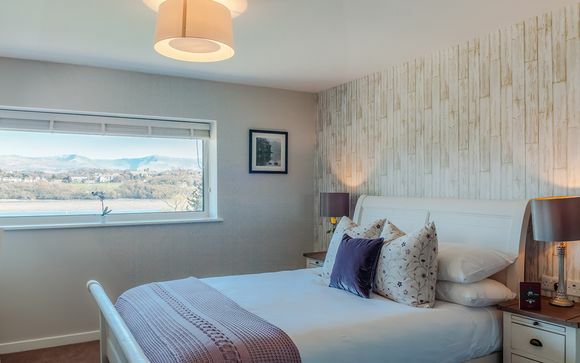 A light and airy space in which to relax whilst taking in the breathtaking views of the grounds and the dramatic backdrop of the Menai Strait. There is also a tennis court onsite! Continue down the hill passing straight over at the roundabout and into the centre of Menai Bridge. Turn left onto the High Street which becomes Ffordd Cadnant. Drive for just under 3 minutes where Château Rhianfa is on the right hand side. Travelling from the city? The simplest way is to catch the train from London Euston to Bangor and see the beautiful countryside of Great Britain along the way.